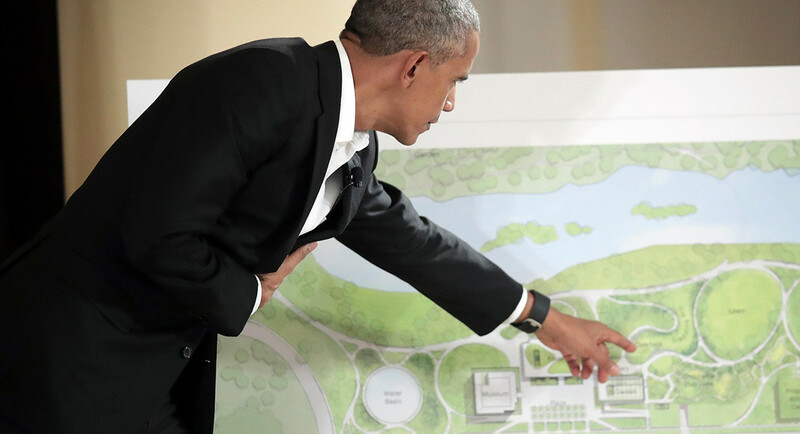 It’s the ultimate in irony: The world’s most famous ex-community organizer is facing a minor uprising from the community where his presidential center is supposed to be built—the same community, in fact, where he got his start in politics. The center’s troubles became clear last September, when Jeanette Taylor, the education director of the Kenwood Oakland Community Organization, walked into the Hyatt Regency McCormick Place in Chicago with something on her mind. She was there for a public meeting with officials from the Obama Foundation, the entity that is building the Obama Center—a monument to the career of former President Barack Obama for which construction is scheduled to begin later this year in Woodlawn, a neighborhood on the South Side of Chicago. Taylor so wanted to be first in line for the microphone that nearly a dozen of her fellow community organizers had camped out overnight to save her a spot at the front of the line to get into the event. As she entered the hotel ballroom, Taylor expected to interrogate a member of the foundation’s staff. Instead, she found herself face to face with Obama himself, appearing by video conference from Washington. The answer infuriated Taylor, who pays $1,000 a month for the Woodlawn apartment she shares with her mother and two children, and is worried that the Obama Center’s cachet will drive up neighborhood rents. Months later, she is still furious at the former president. Taylor is not alone in her complaint. 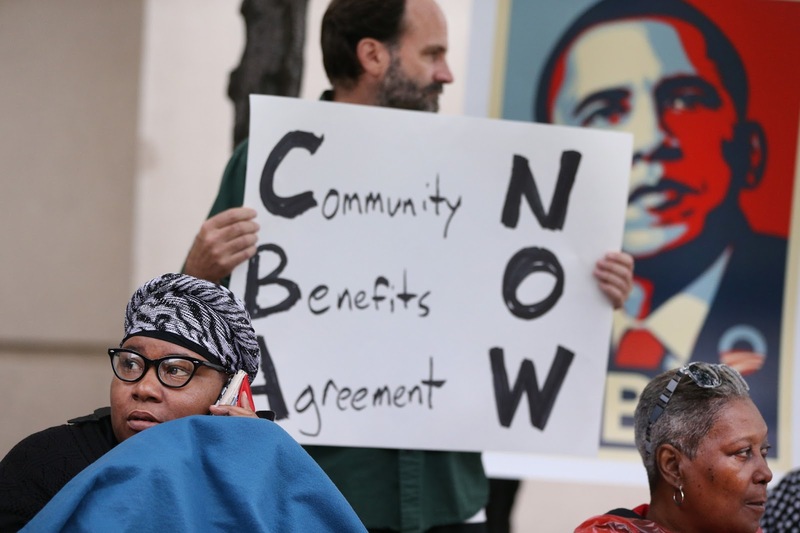 Since 2016, more than a dozen local groups—neighborhood organizations, labor unions and tenants’ rights activists—have come together to form the Obama Library South Side Community Benefits Coalition, which is pushing the library to account for local needs. At the University of Chicago, where Obama once taught at the law school, more than 100 faculty members signed a letter in January supporting the demands of local organizers. It is probably no surprise to Obama that activists in the neighborhood he chose for his presidential library are now clamoring for a place at the table: Woodlawn is one of the birthplaces of community organizing. Saul Alinsky, whose book Rules for Radicals informed Obama’s own organizing, helped found The Woodlawn Organization to battle the expansion of the University of Chicago (which today is proposing to build a 15-story hotel for Obama Center visitors). The campaign for a community benefits agreement is part of a tradition that both predates Obama’s arrival in Chicago and made his career there possible in the first place. Woodlawn is a poor, African-American neighborhood adjacent to middle-class Hyde Park, home to the University of Chicago. Woodlawn residents worry that their neighborhood is an ideal target for gentrification, and that the center will raise rents. Taylor says she doesn’t want to move again, and she is surely not the only one—just 24 percent of Woodlawn residents own their homes. For them, Obama has gone from sticking it to the man to … being the man.